Ready For Your TSA Close-up? Are you ready for your TSA close up? We're talking real close. Full body-without-your-clothes-on close. It's coming soon to Mineta San Jose International Airport. Friday, airport officials showed off the advanced imaging technology units that will be up and running in a week or so. Passengers will be asked to raise their hands and count (no coughing needed) to two as they stand between two tall blue cubes. That's where your digital photo will be taken, and yes this is the security screening that shows all the wobbly parts of your body. TSA in San Jose promises it is taking passenger privacy to the extreme. They will peak, but they won't "peak" so to say. The people at the screening sight don't see the picture and the person who sees the picture is in a separate room so they don't see you. The TSA adds each picture is deleted before another one is taken. 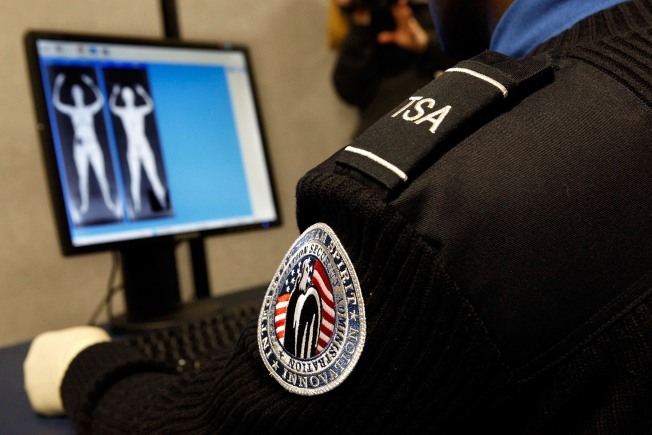 The new screening is the highest advance in imaging technology and is able to safely screens passengers for metallic and nonmetallic threats, including explosives, without physical contact. It is one of the first security advancements that is not expected to add to the time it takes to get through security. There is one big change though. You have to take every single thing out of your pockets and that includes paper and plastic. If you are the extremely shy kind, you do have the right to say no to the screening and have it done the old fashioned way. Lori Preuitt knows she will blush the first several times she walks through this thing.